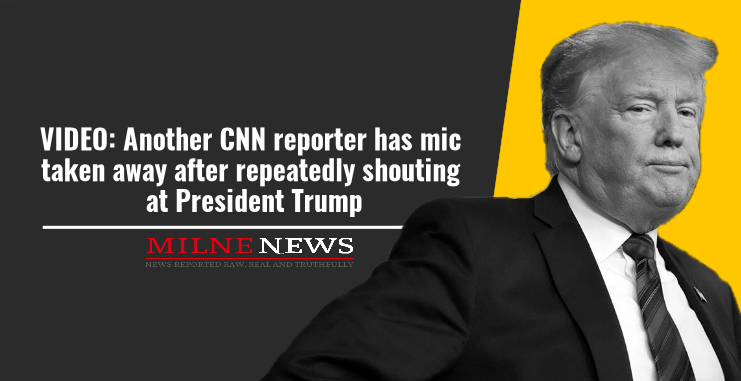 It seems CNN reporters didn’t get the message the first time round when Jim Acosta overstepped his boundaries. Now, once again a White House aide was forced to take the mic away from another CNN reporter. This time from Kaitlan Collins on Friday after she repeatedly shouted at President Trump after he answered her questions. The president called on CNN’s Collins after he answered a question from another reporter about how Mexico was going to pay for the border wall. “A very nice question, so beautifully asked, even though I just answered,” president Trump said sarcastically, noting her hostility.